Lengua de Gato or popularly known as cat's tongue refers to the thin and crispy cookies that have long, flat, with rounded ends shape and which resembles a cat's tongue. That explains the moniker. It is not only popular in the Philippines but is also known in Europe and in Asia. 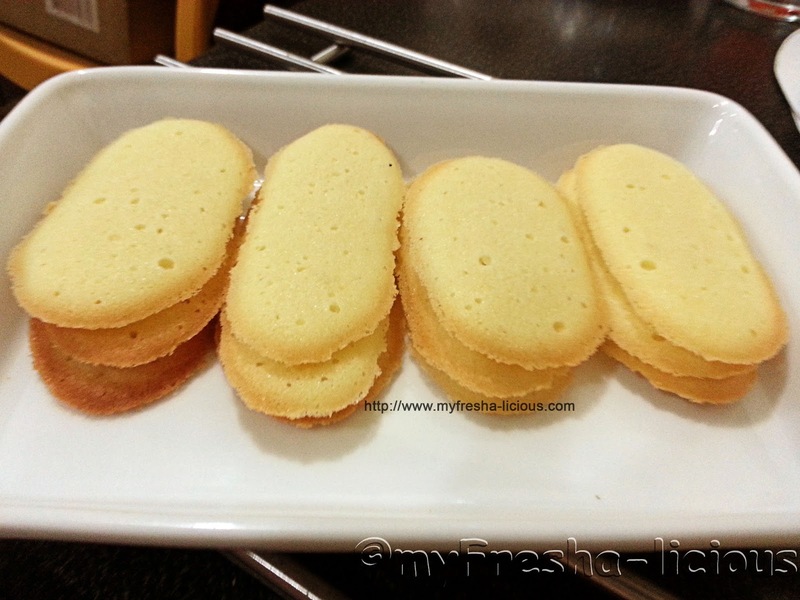 Before I proceed,let me give you a brief story and background about this lengua de gato I made. 1. 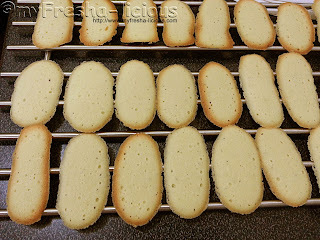 The recipe I formulated was based on three Lengua de Gato recipes from Filipino food bloggers and cook which I found on the world wide web: Lengua de gato by pinoyrecipe.net , lengua de gato cookies by heart of Mary, and How to make lengua de gato by Jun Belen . 2. The recommended tips to be used were #11, #12, and #21. 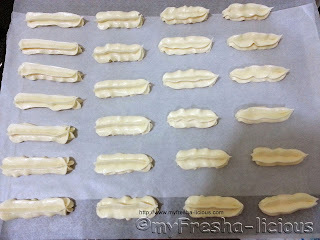 But I used 1M instead and I was able to produce about 35 cookies with length ranging from 2 1/2 to 3 inches. 3. With this recipe, I baked the cookies in 2 batches. For the first batch of cookies, I placed two layers of waxed paper on top of my non-stick baking tray. I am using Tefal's airbake non-stick cookie sheet. The cookies were baked for 15 minutes and the resulting cookies have lighter brown edges. I had to check the cookies every minute after 8 minutes of baking. For the 2nd batch of cookies, I used the same cookie sheet which is still a bit hot. I placed one layer of waxed paper and placed it on the same baking tray. The result, cookies with darker brown edges and the baking time though the baking time is 5 minutes shorter than the first, the edges almost got toasted. My mistake was that, I did not check on the cookies. 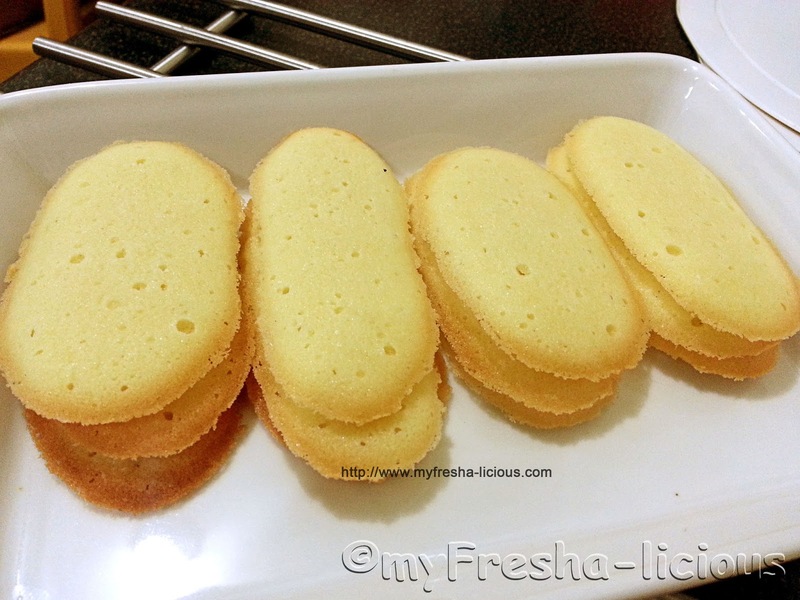 Next time I will buy silpat and try baking lengua de gato using it. One other and most important thing is that, I need to buy another cookie sheet. It is not advisable to use only one cookie sheet when baking several batches of cookies. The texture of the cookies are usually affected several factors, ranging from the actual recipe, temperature and texture of the ingredients, kinds of ingredients, and the amount of ingredients use. For the purpose of my explanation, I opted not to convert my recipe to the usual volume measurement (cups and tablespoons). So, here are several factors that made my lengua de gato soft and chewy. 1. I used an all purpose flour with 12.5% protein content which generates higher gluten making the cookies to absorb more moisture. So next time, I will find a pastry flour or an all purpose flour with 10% or lower protein content. 2. Mix together the all-purpose flour and salt. Set aside. 3. Cream the softened butter and sugar on low speed until fluffy. 4. Slowly add the egg whites and vanilla extract. Cream on low speed until the mixture becomes light in color. 6. Fit a piping bag with a piping tip (you can use #11, #12, #21, or 1M. 7. 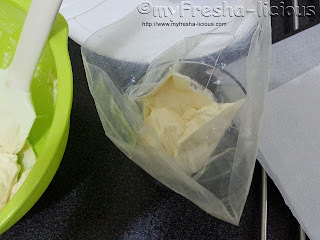 Scoop the dough into the piping bag. 8. Pipe out cookie strips about 2.5 or 3 inches long. Make sure to provide about 2 inches space in between cookies as the dough will spread when baked. 8. 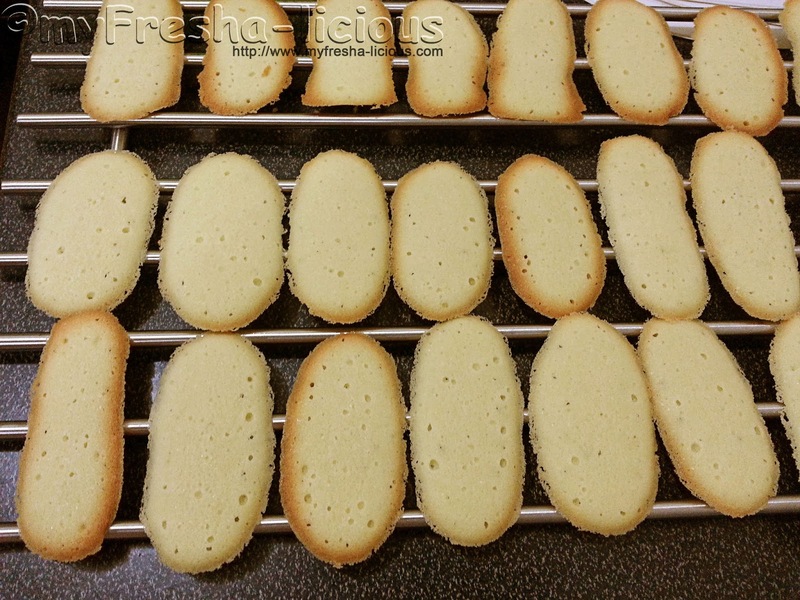 Bake for 10 to 15 minutes at 180 degrees Celsius or until the edges around the cookies become light brown. 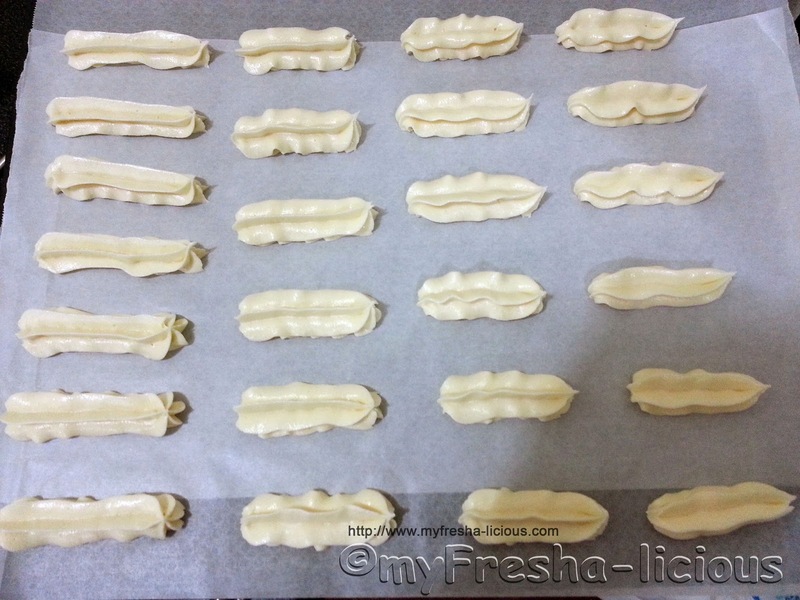 The baking time indicated in this recipe is based on the baking tray and the wax paper I used. Just a tip, start checking your cookies after 7 minutes and continue checking if the edges of your cookies are already brown every 1 minutes.